Music Maker Premium Edition is a unique virtual studio with more than 8,000 included sounds, intuitive drag & drop controls, countless instruments and professional functions for mixing & mastering. Customize your version of Music Maker with exclusive loop packages, new effects presets and top software instruments. Add them easily and directly within the program via the Store. Unlimited tracks. Endless fun. Music Maker Premium Edition gives you plenty of space for countless MIDI and audio tracks. 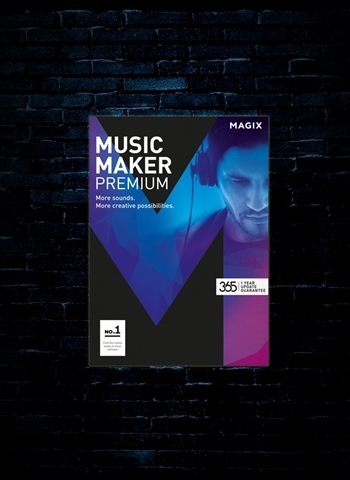 True creative freedom: Customize your version of Music Maker Premium Edition with new sounds. Choose your favorites from the Soundpools, new presets and software instruments. Add everything in a few clicks directly within the program via the new Store. And best of all: New loops & instruments are released regularly.